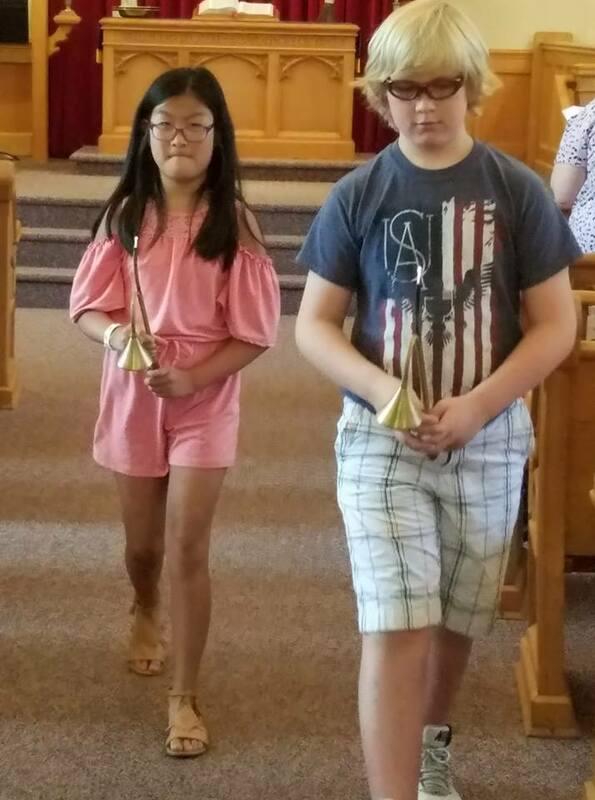 Young acolytes Teagan Snow and Tor Magnus Hegg. 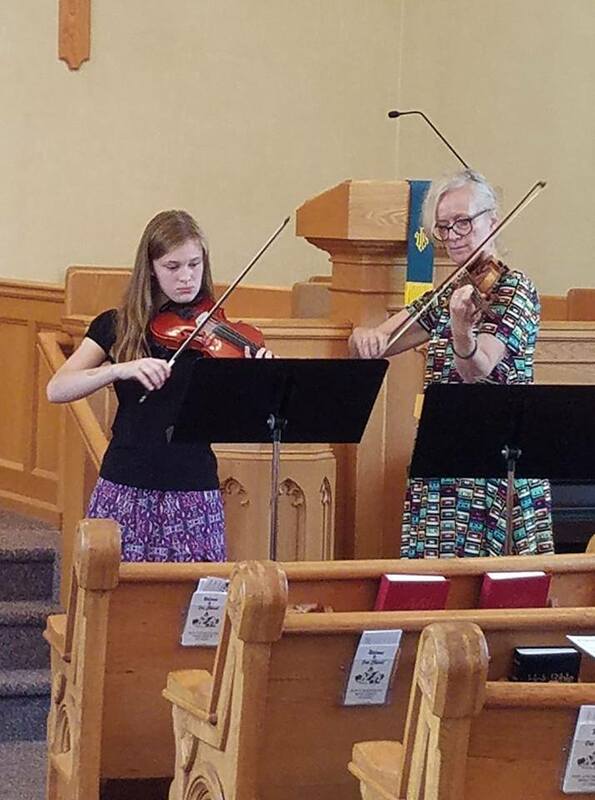 Summer Special Music violin duets played by Alison Jewer and Iselin Hegg. 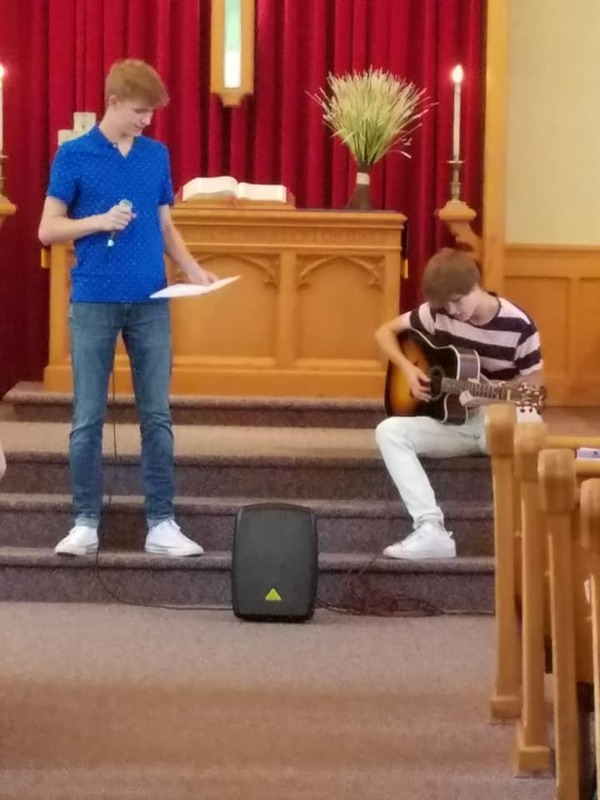 Reidar and Jakob Snow performing a moving rendition of "I Can Only Imagine" by Mercy Me. Pastor Dave with retired Organist Randy Zelinka. Randy played organ at FCC for over 38 years.